Courtesy of Barbara Weidman, Century 21 Showcase Realtors. Come Home to the Best of Carmel Valley Living & Your Own Private Lane Gated Retreat! 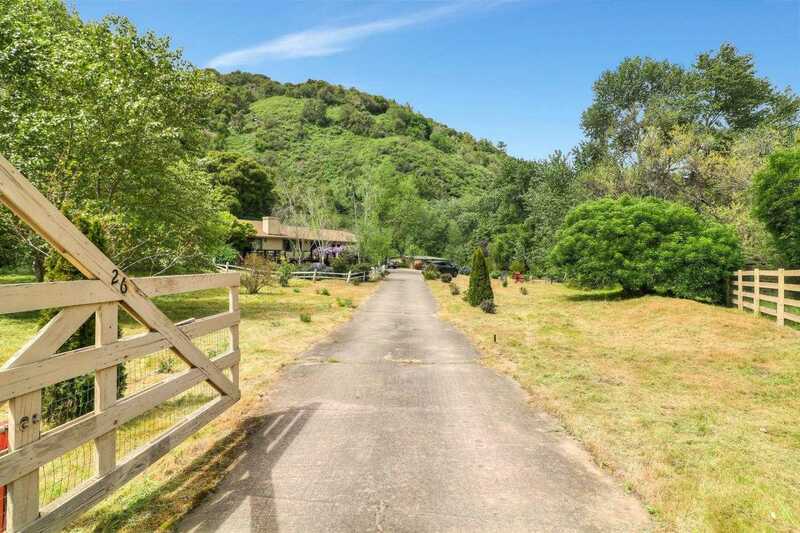 Surrounded by Natural Beauty Rarely Found With the Santa Lucia Mountain Range as Your Backdrop; the Carmel River Meandering Along Side and Direct Horse Trail Access into Garland Park. These Are Just a FEW of Its’ Treasures. A Custom 1989 Ranch Style Design Features a Vaulted Beamed Ceiling in An Expansive Living Room Highlighted With a River Rock Wood Burning Fireplace, Master & 2nd Bedroom, Dining & Family Room All With Sliding Glass Doors to Back Deck To Showcase Views & Pasture. Additional Features Include Wrap Around Deck, Private Area W/ Hot Tub, (4) Horse Stalls, Basement, Variety of Fruit Trees & Drought Tolerant Plants. Fully Fenced For Security & Ready For Avid Rider Or Outdoor Enthusiast. No HOA’s! Perfectly Located w/ Fine & Casual Dining, Wineries, Shopping, Premier Schools within 5-10 minutes. The Property Hosts a Magically Quality That Must Be Seen in Person to Truly Appreciate! © 2019 Michael Baldasarra. All Rights Reserved. Real Estate Website Design powered by Home Junction.